Late in the evening, driving back to camp along a dirt road after shooting the sunset near Ridgway, Colorado, something large loped into the road a few hundred feet ahead of me. 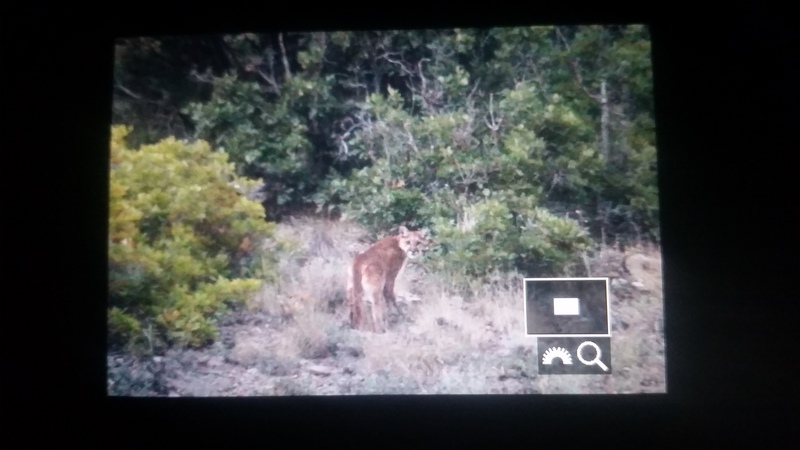 It was so unexpected that it took me a few seconds to take in the size, color and movement of the animal and register that it was a mountain lion. There was barely any light left and I knew that I wouldn’t have time to set up a good shot, but I wanted to at least capture for my own records an image of this beautiful creature. I stopped my car, pulled out my camera, quickly changed the settings to automatic and brought it up just as the mountain lion stopped just up the hill from me to look back and check me out the way I was checking her out. I’m share a cleaned up version of this image once I return home! It was an awesome moment. Not because of the grainy barely focussed photograph, but because of the unique experience of seeing such a beautiful creature in the wild.